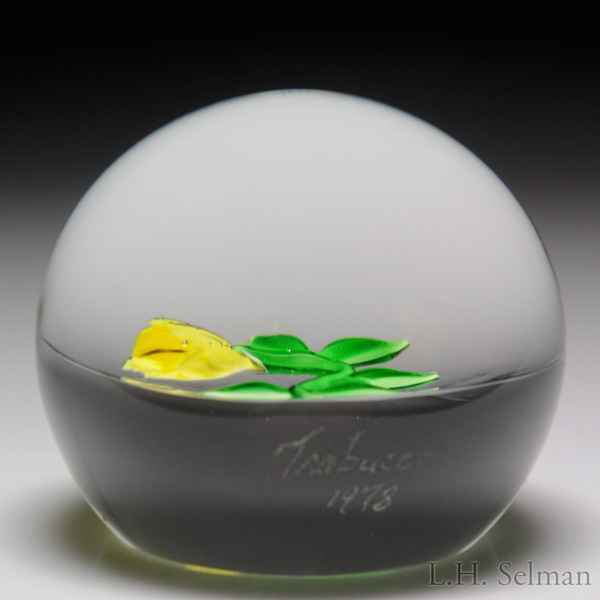 Victor Trabucco 1978 yellow bellwort miniature paperweight. A single dimensional yellow bloom, with a single black stamen strand, blooms at the end of a curvy green stem with a few leaves. Clear ground. Signature cane. Signed/dated. Minor surface wear. Diameter 1 15/16".